Philanthropy in past times is well documented and much of that we enjoy today comes from the generosity of those who were wealthy but mindful of the needs of those who were not. For this reason, the town benefits in many ways from bequests left for the good of the people and to make life easier and more enjoyable for those less fortunate than themselves. Text and photographs © REX NEEDLE 2010.  Bourne United Charities administers fifteen individual charities, mostly founded in the 17th century through endowments for the benefit of the poor of the town as well as land that has been left to the community. The largest single endowment is the Charity of Robert Harrington (1589-1654). He is reputed to have left Bourne as a lad and walked to London to seek his fortune, becoming a gentleman landowner who left land and property in the Leytonstone area of London producing an annual income to be used for the benefit and education of the poor. In 1830, this was bringing in £300 a year but by the end of the century, as Harrington’s estate at Leytonstone began to be developed, the value of his charity started to increase in a spectacular way and by 1909 it had reached more than £2,000 a year while burgeoning property values in recent years has made this the most important source of income for BUC today. Some of the income was distributed in quarterly or half-yearly payments to “the deserving poor” who did not receive parish relief, by the provision of clothing and coal at Christmas time. 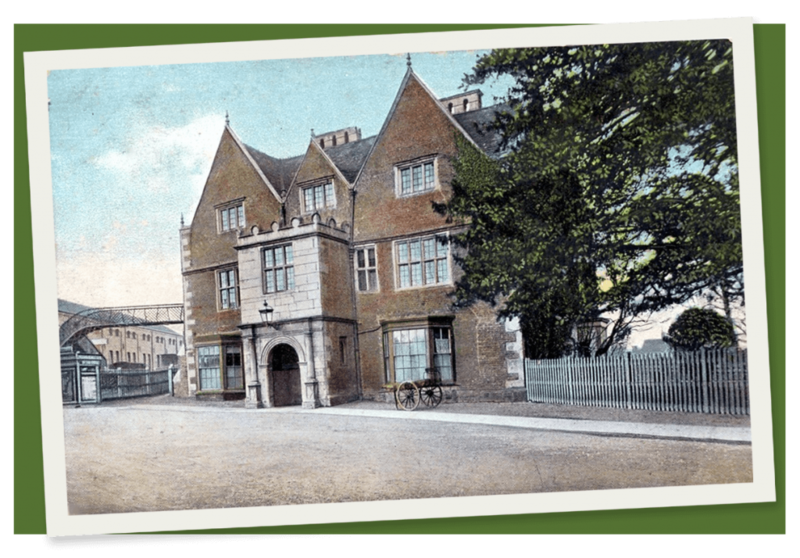 Money from his charity was also used to assist in the furtherance of education in the town and when the National School in North Street was built in 1829, an annual grant of £42 was made and this was most likely provided to cover the schoolmaster’s salary. The tradition of distributing financial assistance continues through the administration of payments which have become known as “The Essex” after the county where Robert Harrington made his fortune. This originally was a bag of coal provided each week to the poor of Bourne and is currently a four weekly payment of £40, although in the light of current social conditions, the entire system is now under review by the Trustees. In addition, individual grants are made after careful and sympathetic consideration by the Trustees of each application. 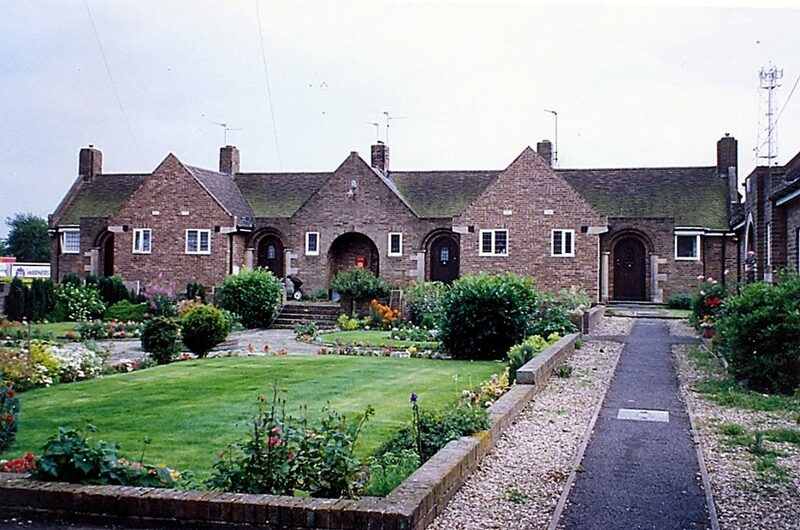 Twelve almshouses were built in West Street in 1931 to provide homes for elderly inhabitants and tenancies are still much sought after because these houses are situated in an attractive setting just off the main road and ranged on four sides around lawns and flowers beds. A bronze plaque has been erected at the front of the almshouses to perpetuate the memory of local benefactors whose money helped finance the scheme, among them Robert Harrington. Bourne United Charities also administer gardening allotments at the corner of Meadow Drove and Spalding Road, the Wellhead Cottage, which is currently occupied by the head grounds person and several other restored buildings that are leased at nominal rents to youth organisations, including Scouts, Guides and other community activities. These include the Shippon Barn on the edge of the Wellhead Gardens and the early 19th century Baldock’s Mill in South Street that is now leased to the Civic Society whose members have restored the building and turned it into a heritage centre and museum. The original endowments arise from the foundation called ‘The Harrington and Trollope’s Secondary School’. The original endowment was provided by William Trollope in 1636. Trollope’s endowment was basically for the provision of a schoolmaster in a building provided by him, the site of which is the Old Grammar School adjacent to the Churchyard. After a decline in the number of pupils and several attempts to re-open it the School was finally closed in 1904. The Old Grammar School was sold to the Bourne Abbey Parochial Church Council in 1924 for the sum of £100. It was decided the premises would be used as a Parish Room. As the Bourne PCC had insufficient funds to maintain the building, the property was conveyed to the Governors of the Bourne Educational Foundation in consideration of its continued use by the Scouts and Guides. With various Schemes set up with the Charity Commissioners in 1904, 1916, 1961 and the present Scheme dated 30th of December 2011 (as amended), the original Harrington & Trollope’s Foundation was incorporated as the Bourne Educational Foundation. In 1921 in co-operation with the then Kesteven County Council, the site of seven acres in South Road, Bourne, was purchased by the Foundation Governors using accumulated funds of the Foundation and a new Grammar School was erected in 1919 consisting of ex-MOD huts. The present new buildings are built on this land, which is still owned by the Bourne United Charities. The income of the Foundation is from the investment of the original endowments comprising the Trollope bequest and one tenth of the net yearly income of the Robert Harrington Charity, at presented administered by the Bourne United Charities, which authority appoints some of the Foundation Governors. 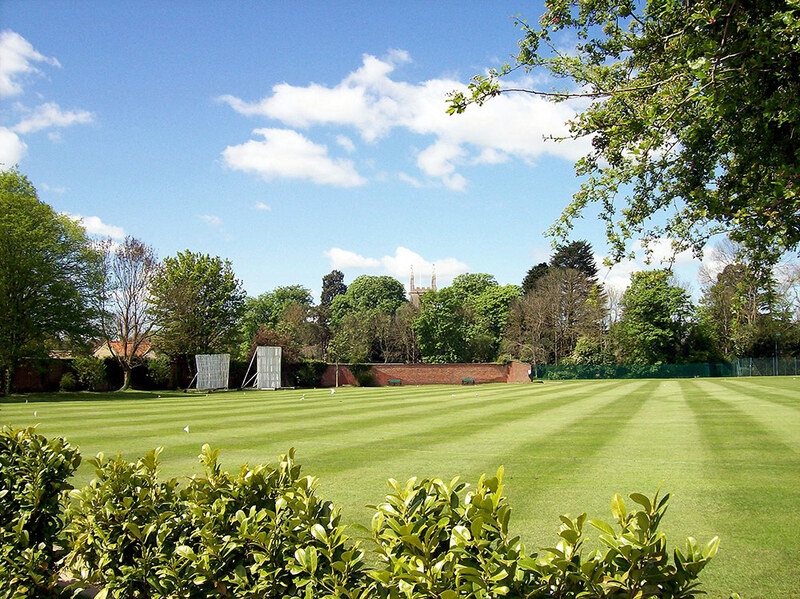 Bourne is blessed with several green spaces for relaxation and sport but the Abbey Lawn has been in public use for longer than any other. 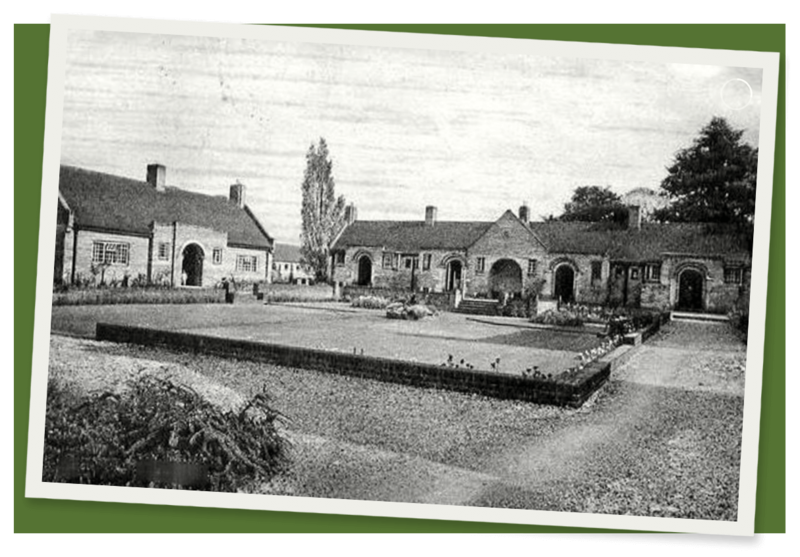 In times past, the land formed part of the grounds of Bourne Abbey although the people were allowed to use it at the discretion of the vicar and so it became the town’s unofficial recreation ground and has been used for such purposes for at least 200 years. The land was eventually acquired by a syndicate of local businessmen who rented out the rights for cricket and football but when it came under threat from housing development, Bourne United Charities decided to buy it for the benefit of the town. The purchase was sanctioned by the Charity Commissioners in 1931 and the transaction was agreed in the sum of £700, to which the cricket club made a token donation of £20. The Trustees, advised by their clerk, Horace Stanton (1897-1977), completed the purchase with the intention of preserving it as an open space and sports ground for the town in perpetuity and since then there has been a continuous programme of improvement. Football has been played here for almost 140 years, one of the first games being recorded in 1871. The present Bourne Town Football Club dates from 1897 while Bourne Town Cricket Club’s activities date from 1803 and the facilities have become greatly enhanced making it one of the most attractive grounds in Lincolnshire. Bourne Tennis Club formerly played on courts in Burghley Street for almost 100 years until the site was sold in 1958 when the club was saved by Bourne United Charities which was planning a new set of courts on land that had once been used to provide vegetables and herbs for the monks of Bourne Abbey. The ground was subsequently levelled and drained and turf from the old courts in Burghley Street lifted and used for the new ones on the Abbey Lawn which were opened for play in May 1959. There was once a putting green here and quoits was also popular while Bourne Town Bowls Club occupies land on the far corner of the site. Next door is the Outdoor Swimming Pool, formerly the carp pond for the monks of Bourne Abbey but taken over by BUC in 1932 and now greatly enhanced to become one of the few remaining lidos in England. In the far corner of the Abbey Lawn, near to the eastern entrance, is an enclosed court for petanque, a type of boules played especially in France and a game that has gained popularity since the town became twinned with Doudeville in Normandy in October 1989. 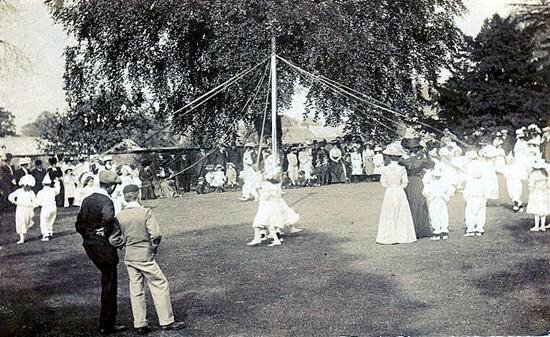 The Abbey Lawn has had many other uses over the years including maypole dancing, athletics, church feasts and treats and has therefore been a focal point for the people and synonymous with the community spirit in Bourne. The handsome hand forged, wrought iron entrance gates to the Abbey Lawn were made during the 18th century and formerly graced an estate entrance to a stately home in Derbyshire and were installed in 1933. During 2009, they were removed and restored, the supporting pillars rebuilt together with the stone wall on the northern edge of Abbey Lawn while the gardens were freshly landscaped. Metal fencing was also erected around the perimeter to deter vandals after a prolonged spell of criminal damage to the sports facilities, a reluctant but necessary step by the Trustees but one taken to ensure the safety and public use of the grounds in perpetuity, as envisaged when the site was purchased. 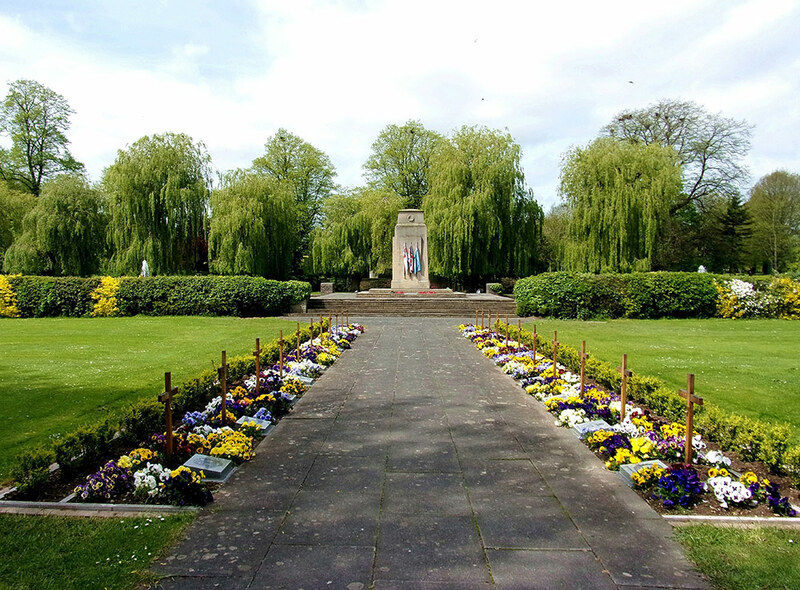 The town is blessed with many open spaces but none more pleasant than the Wellhead Park, an area of parkland just a short step from the shops and offices where many go for a spot of peace and relaxation. The best time to visit is in spring because the main path is lined with ornamental cherry trees which produce a mass of magnificent blossom each year although there is still much to see whichever time you go. 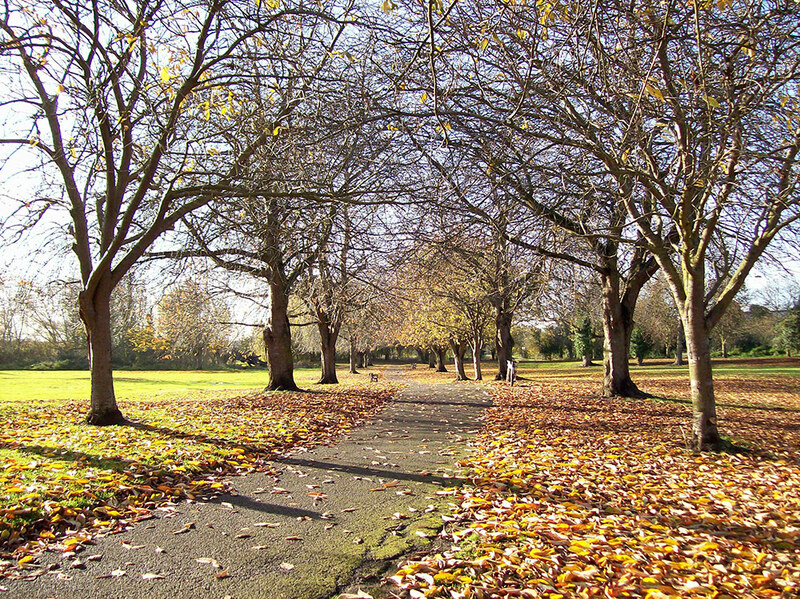 The land was originally meadows known as Wellhead Fields and Baldock’s Paddock but purchased from the Marquess of Exeter by Bourne United Charities in 1945 to be preserved as a permanent open space for the town. 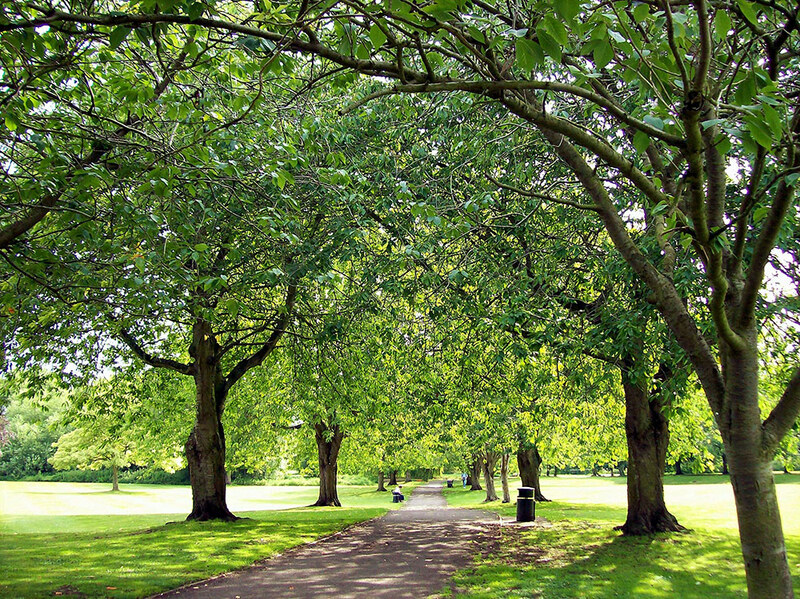 The 21 acres were developed in the years following the Second World War as parkland open to the public under the terms of a bequest from Alderman Thomas Whyment Atkinson who left property at Haconby to provide income for this purpose, and also enabled the development of the War Memorial and surrounding gardens which opened in 1956 and is now the centrepiece for our annual Remembrance Sunday parade and Service. It is difficult to imagine that the area was once grazing land for farm stock and St Peter’s Pool little more than a pond but to know what it looked like a century ago is a realisation of the work that has been done since. The pool, or Wellhead, is one of England’s most ancient artesian wells, circular and clay-lined and reputedly fed by seven springs which never dry up, although this source is now tapped by Anglian Water to provide domestic and commercial supplies for a large catchment area. The water attracts a multitude of wildlife, much to the delight of visitors. The old stone property that can be found in the park, nestling behind high hedges, dates back to the 18th century and was formerly part of the Castle Farm, built in the local style with a Collyweston slate roof and rubble and limestone walls. It is now owned by Bourne United Charities and rented as a private home and is appropriately known as the Wellhead Cottage. Its aspect presents such a peaceful scene that it is difficult to believe the hustle and bustle of the town centre is just a few paces away. Grassy mounds in the park also remind us that this place contains the earliest traces of a settlement in Bourne and may have been the site of successive Saxon and Norman fortifications while the Shippon Barn nearby is reputed to have been constructed from the remains of the old castle and is now used by the guide and scout organisations. The Wellhead Gardens have become a haven of peace in the town and new initiatives are currently underway to create environments that will attract more flora and fauna. The Bourne Eau runs through and weeping willow and horse chestnut trees abound together with many other species while new seating and waste bins have been installed as part of an ongoing programme of maintenance and improvement to ensure that this amenity can be enjoyed in the future. Beyond is the Wellhead Field, once known as Hereward’s Field and now leased to South Kesteven District Council and containing a play area for children but as in past years still a venue for major annual events which attract large crowds on Bank Holidays during the spring and summer. The architect and builder are unknown yet their legacy remains with the Red Hall which dates back to the early 17th century. It has a chequered history as a home and institution, even as part of a Victorian railway complex, yet has survived 100 years of vibrations from steam locomotives and rolling stock to become our most famous secular building which has been Grade II listed since 1977. The house is believed to have been built for a wealthy businessman, Gilbert Fisher, and is typical of the new style of residence being constructed for prosperous gentlemen of the early Stuart period, remaining in his family for almost a century although the evidence is that the high costs involved also put them deeply in debt because the building was heavily mortgaged for several years afterwards and the liabilities were not finally settled until the family vacated the property over ninety years later. The most probable designer of the Red Hall was John Thorpe (circa 1565-1655), one of the foremost architects in Britain during the time of Elizabeth I. The building of the house is not documented but construction is assumed to have been between 1600 and 1610, with 1605 being the favoured date. No documentary evidence survives to identify the builder but the first tenant was undoubtedly Gilbert Fisher, a London grocer, who had amassed a sufficient fortune to finance such an ambitious project that would give him a standing in the community and there is evidence that he lived there in some style. When he died, there were various owners until the property passed to the Digby family in the early 17th century, thus leading to an erroneous assumption that this was the home of Sir Everard Digby, one of the leading conspirators in the Gunpowder Plot to blow up King James I and the Houses of Parliament which was allegedly hatched at the Red Hall. But he came from a different branch of the family and never lived there and although the myth has long been disproved, references to it persist in guide books and magazine articles. Catherine Digby was the last member of the family to live there from the time she married James Digby in 1777 until her death in 1836 when the property was leased to various tenants and even used as a private boarding school for young ladies until sold in 1860 to the Bourne and Essendine Railway Company for use as the station booking office and stationmaster’s house. There was an attempt to pull down the Red Hall in 1892 when the railway company needed more space to build freight sidings but the public outcry that ensued, accompanied by letters to the newspapers, articles in learned magazines and, more importantly, a public petition, forced the company to shelve its plans and the building was saved. 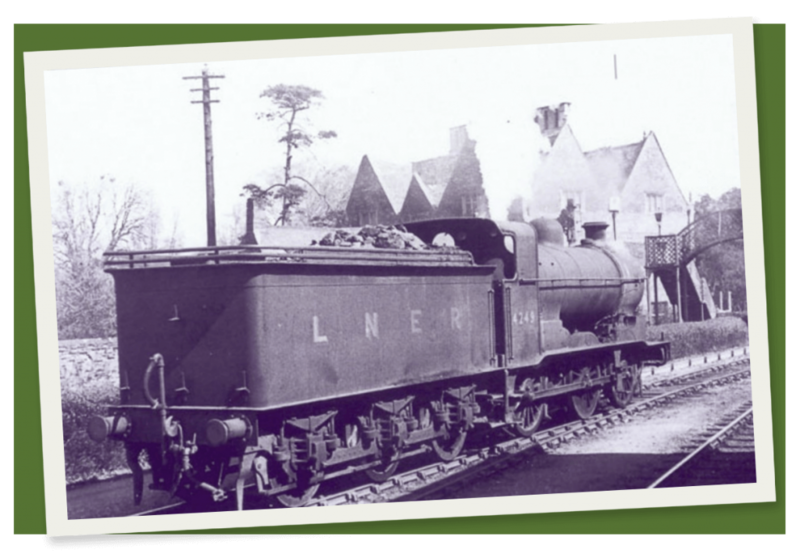 When the railway closed in 1959, the hall became redundant but was in a poor state of repair. It was offered for sale at £1 but there were no takers, even from the local authorities, and there was another attempt to pull it down after being condemned in several quarters as “a totally useless building”. 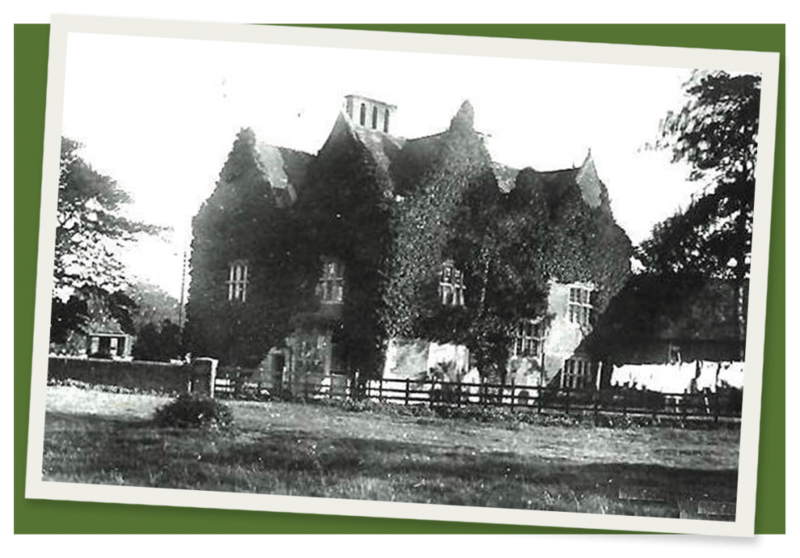 But in 1962, Bourne United Charities stepped in and acquired the freehold and over the next ten years, implemented an extensive programme of restoration to ensure its survival. As a result, the Red Hall reopened in 1972 for public use and as offices for the BUC and remains so to this day. 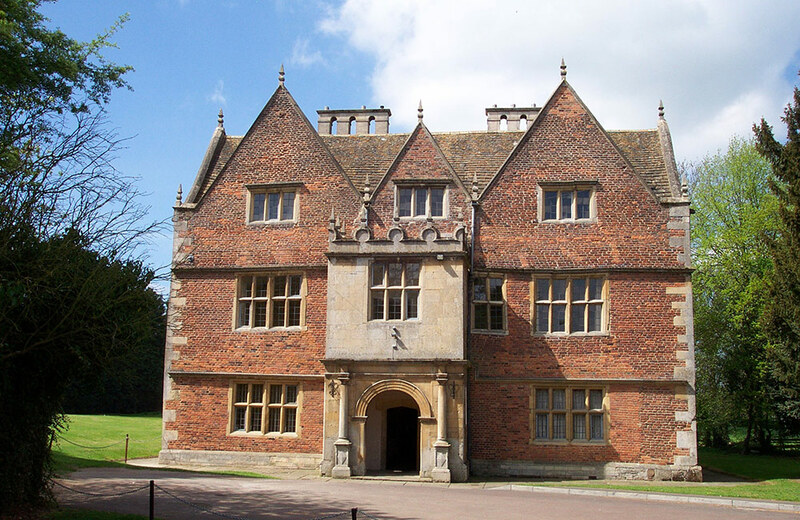 Almshouses were originally endowed by charity to provide accommodation for the old and infirm who were unable to work and therefore earn a living. Their establishment in England has a long and honourable tradition and they were administered by trusts and were therefore distinct from those which were publicly financed and formerly known as poorhouses or workhouses and later as public assistance institutions. This town has had a strong tradition of care for the aged, the needy and the handicapped through the benevolence of wealthy people who either lived here or who had connections with the district and Bourne United Charities has been responsible for the twelve alms or bedehouses and a warden’s bungalow in West Street since they opened in 1932 to provide homes for elderly inhabitants. They were built at a cost of £6,000 by Messrs Wright and Son Limited of Lincoln who tendered for the work along with eight other builders and although theirs was not the lowest, the tenders varying by as much as £1,600, it was preferred by the architects who drew up the specifications, Messrs Webster and Trower of Spalding, the time allowed for completion being eight months. Work began in 1931 and was finished within contract. The capital was provided by BUC mainly by realising investments of property in Leytonstone, London, left to the town under the Harrington bequest, which was sold for a street widening scheme. The Almshouses are situated in an attractive setting just off the main road and ranged on four sides around lawns and flowerbeds and tenancies are much sought after. A bronze plaque has been erected at the front of the Almshouses to perpetuate the memory of the local benefactors who contributed money in past centuries for such philanthropy, William Trollope, William Fisher and Robert Harrington, the founders of various charities in the 17th century.